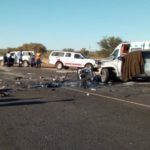 FOUR occupants of a vehicle were burned beyond recognition after the car they were travelling in was involved in a head-on collision on the road between Okahandja and Windhoek earlier this morning. 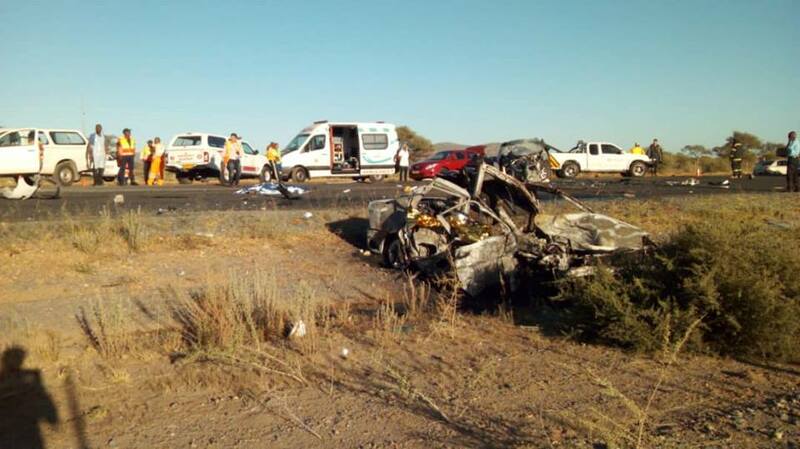 Another occupant was flung from the Toyota sedan vehicle and died on the spot. The driver of the other vehicle, a Mitsubishi SUV, also died at the scene of the crash. 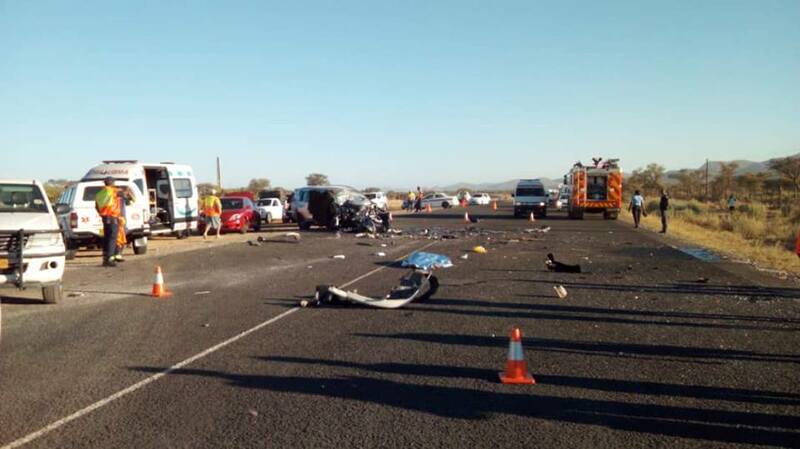 The actual cause of the accident is not yet clear but it is alleged that one of the drivers swerved to avoid a collision with a kudu and hit the other vehicle head-on that was travelling in the opposite direction. 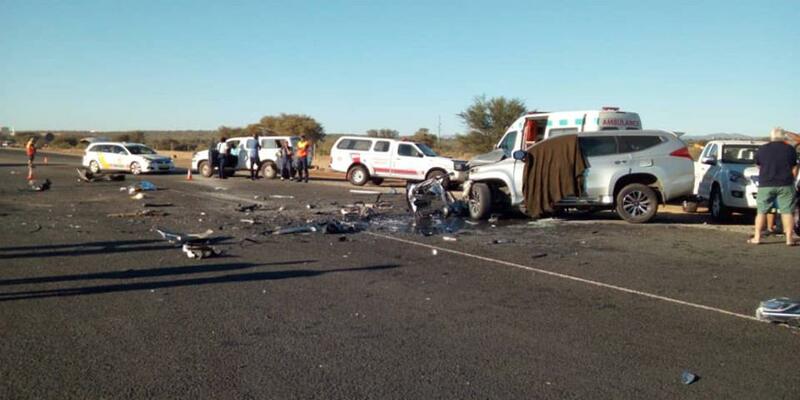 According to one of the first respondents at the scene of the gruesome crash, the Toyota was travelling from Okahandja to Windhoek. The vehicle caught fire while some of the occupants were still trapped inside.